It's the highest point along the Lake Wales Ridge, a backbone of earth that runs along the north-south spine of central Florida. Officially speaking, its peak is 312 feet and Sugarloaf Mountain Road outside Clermont northwest of Orlando will get you there. Escape Adventures Florida is proud to include the rolling scenery of the "Alps of Florida" as part of its inventory of day bike tours around the Sunshine State. For cyclists who are looking for a little more than Florida's pancake-flat terrain, Escape Adventures Florida will take you for 40 miles on the hilly central Florida land where roads slice through old orange groves and new subdivisions. You ride roads with names such as Buckhill Road -- and these are real hills. And of course, there's good ol' Sugarloaf Mountain Road. Let Escape Adventures Florida show you beautiful and hilly terrain to ride. 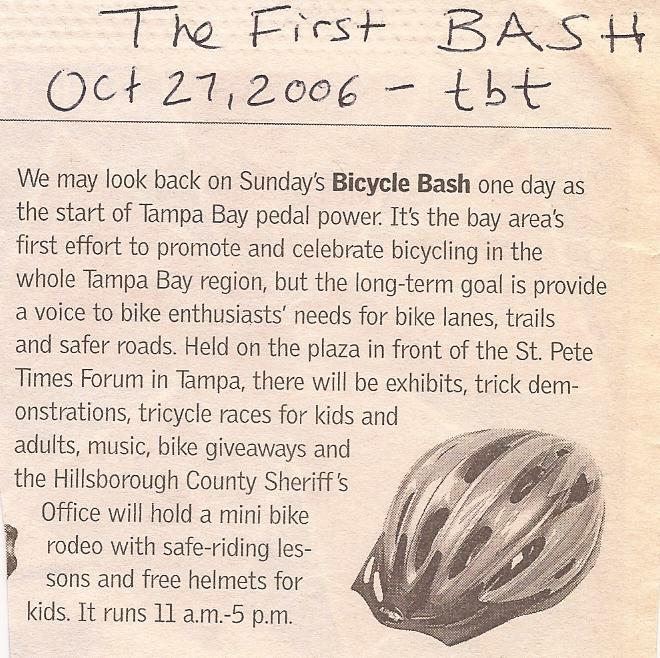 Just a little more than a decade ago, writer Sharon Wynne at the St Pete Time wrote this nugget about a Bicycle Bash bike festival that I worked to organize. It was the first bike event I helped put on. 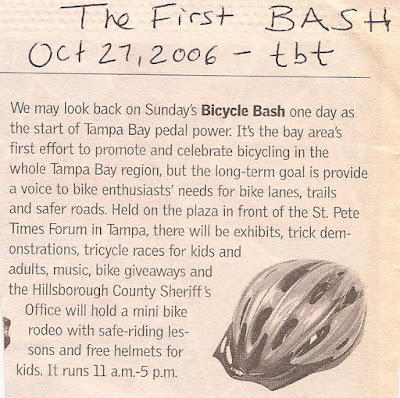 That's why I got a kick last week -- 10 years later -- when I biked with the same Tampa Bay Times features writer (the paper has changed its names from St. Petersburg Times to Tampa Bay Times) along the Pinellas Trail and chatted with her about Escape Adventures' new Florida day tours, including the Pinellas Trail. 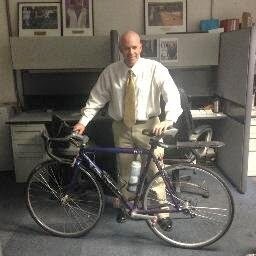 We biked from the Times' office, which is right on the Pinellas Trail, and headed out of downtown. One of the cool features about the Pinellas Trail is that is also goes right by Tropicana Field, home of the Major League Baseball Tampa Bay Rays. The Pinellas Trail is a wonderful bicycling experience and Escape Adventures, Florida is proud to make it one of our featured rides. I recently did the A1A ride with escape adventures in Vero beach Fla.The tour was fantastic, and Alan the tour guide was phenomenal. He is exceptionally knowledgeable, regarding the trails, and loves to answer questions. He is gracious and considerate, and always concerned about rider comfort.The bikes were great, and they are all new. Would definitely do it again. I didn't want it to end. Great job, Escape adventures bike tours. Thank you Scott! Here's Scott and I. The Jungle Trail tour is a beauty too. And check out this trail off the Jungle Trail. This trail will eventually take us to the A1A and then across the road to the Atlantic Ocean. When you bike in Florida, sometimes you mean the Crane Family -- Sand and Hill. I love cycling north along A1A around the Vero Beach area because I enjoy seeing the long-distance bikers with their rigs covered with panniers and bags and gear coming the other way as they slowly churn their way south. My mind flashes back to my own personal long-distance journeys. It reminds me of my two cross-country bike rides when I was pedaling across our great country carrying similar gear such as a handlebar bag, rear panniers, sleeping bag and tent. You let the day take you. I remember that no matter what happened, by the end of the day I always had a story to tell. Today's A1A ocean ride -- one of the Escape Adventures Florida featured bike rides -- allowed me to intersect with a bicycle rider named Scott Acton, a scientist from the Boulder, Colorado area biking 15,000 miles to call attention to a new next-generation, space-based telescope called the James Webb Space Telescope that NASA plans to launch in 2018. Acton was a scientist on the space telescope project and proudly wore the bike jersey displaying a photo of the mighty gear that will eclipse the Hubble telescope. Acton left Boulder on April 1. He said his local newspaper, the Boulder Daily Camera, published a front-page story on his epic world adventure. Indeed, I checked out the story and it was written by a former Rocky Mountain News co-worker, Charlie Brennan. (I had also worked for the Camera and the Denver Post and even freelanced for the Colorado Gazette back in my Colorado days). 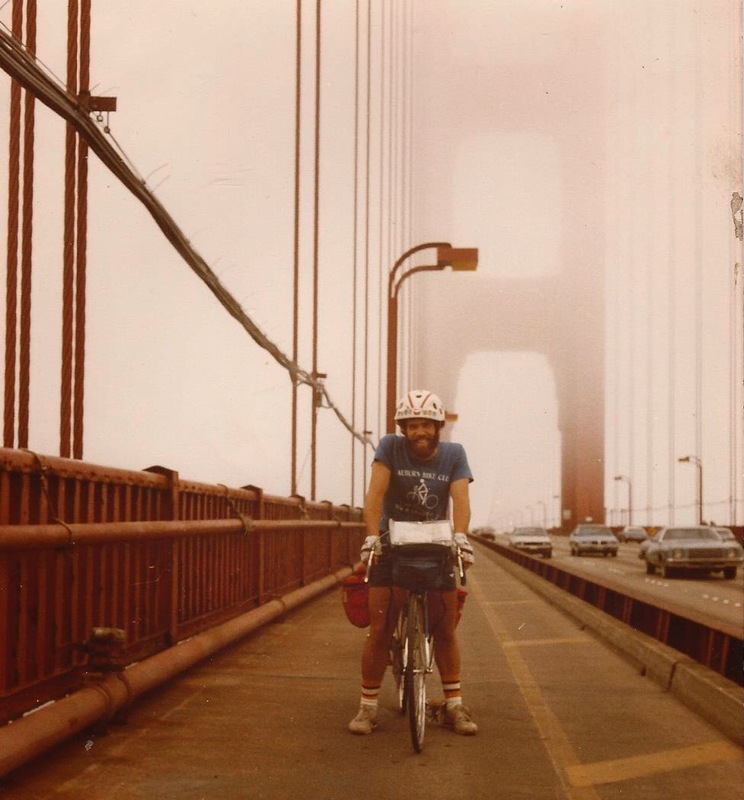 What Scott didn't tell me is that he underwent quadruple-bypass surgery only seven months before he launched his bike journey -- that according to Charlie's story. When I met Scott this afternoon, he had stopped on North Hutchinson Island in Fort Pierce just shy of the historic Little Jim Bait & Tackle shop to check out his cell phone for a map. I actually pedaled past him. Then, I slowed down, looked over my left shoulder and told myself, "Yup, go back and see what's up with this fella." The pedaling scientist told me he was heading to Key West, with today's destination landing him in Jupiter in north Palm Beach County. He planned to stay the night at the home of a host who is part of the Warm Showers Community, which allows long-distance cyclists worldwide to grab a shower and a bed at an active host's place. To date, there are 47,848 Warm Showers hosts and 101,495 members. I suggested to Scott that after he goes around the Fort Pierce Inlet that he take Indian River Drive, a gorgeous mainland scenic road that hugs the Indian River Lagoon between Fort Pierce and Jensen Beach instead of going over to oceanfront A1A. It was in the middle of the day, so I didn't expect Scott would face much traffic along Indian River Drive, which is a narrow road. And it would save four or five miles or so, too. 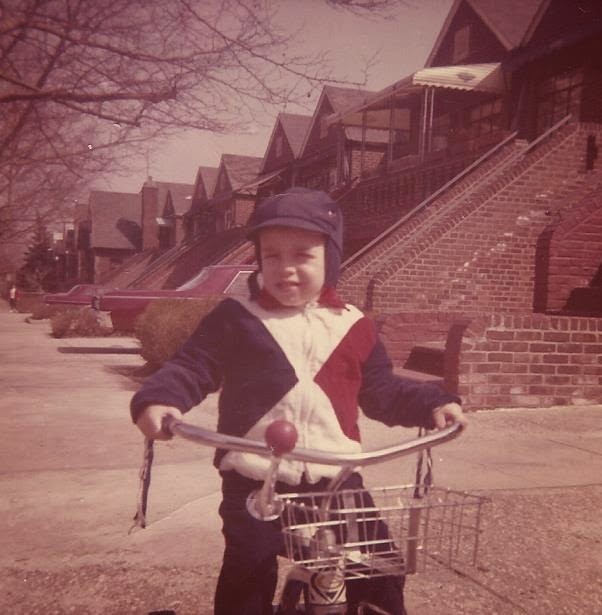 I wished Scott well and confess that I was jealous of his worldwide bike journey. He had already been to Europe and his next international leg was slated for New Zealand. 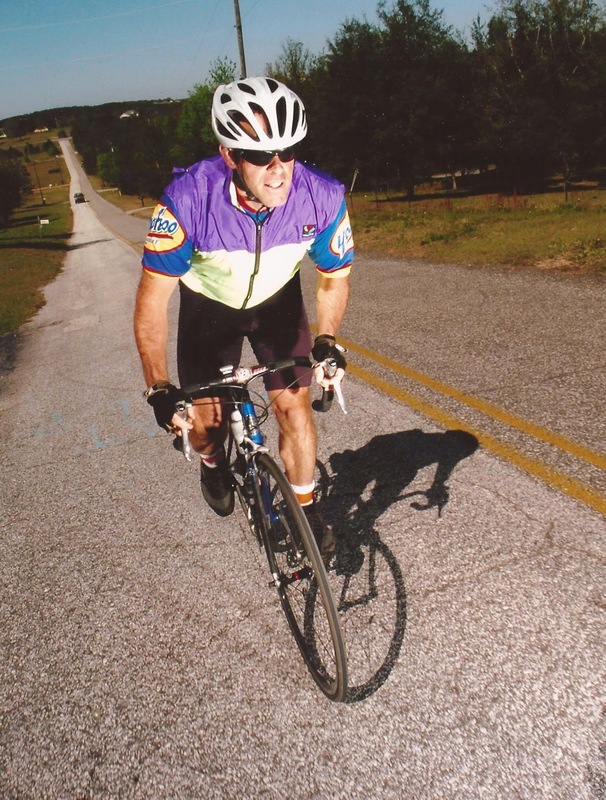 Keep on pedaling Scott and enjoy the stars at night. Escape Adventures is happy to provide hill-hungry bicyclists in Florida with gorgeous rolling terrain to pedal in central Florida's Clermont area. And for those bicyclists who would rather pedal a paved trail instead of the roads in the Alps of Florida, Escape Adventures also can offer the neighboring West Orange Trail, a 22-mile strip of pavement with several nice trailheads. It passes through a lovely community of Oakland, where bicyclists are treated to artwork. The West Orange Trail also leads into the fun downtown of Winter Garden, about 20 minutes west of Orlando. The trail runs right down the center of the main business district. The trail also runs through some serene wooded areas and even has a western extension -- the South Lake-Lake Minneola Scenic Trail, which runs into adjacent Lake County. Keep the West Orange Trail in mind when you're deciding what rides you would like to take. New Belgium beer out of Fort Collins uses the bicycle (Fat Tire) as a marketing tool and Sierra Nevada is a big bicycle advocacy player. Which is why it's great to see the bicycle have a great presence at the local microbrewery in Vero Beach at Walking Tree Brewery. Owner Alan Dritenbas is a bicyclist who gave up his fixie after becoming a dad for a second time ("It doesn't have brakes.") But the bike hangs proudly inside the cavernous former Navy storage building. I stopped off to say hi to Alan Thursday later afternoon and saw the many different in-house wheeled vehicles To show us, Alan hopped on a skateboard to get around the massive building. And he showed us this simply beauty. Alan also uses an old Trek road bike. Looks at least 30 years old. Alan might not be pedaling a fixie, but a worker at Walking Tree does. He rides this one. And Alan also keeps his mountain bike around. I'm honored to be working for Escape Adventures to launch new bike tours in Florida with rides all around the state. And if the Vero Beach clients like delicious craft beer, I'll be happy to lead them to Walking Tree Brewery. It was easy to chat about Escape Adventures' new Florida bike tours to the Indian River Council Tourist Development Council Wednesday afternoon because all the rides are winners and it's just a matter of getting the word out about our tours for seven bike rides around Florida, including two in beautiful Indian River County. I recall visiting Indian River County on Florida's mid-East Coast many times when living in Tampa because I enjoyed cycling the long stretches of A1A from Vero to either the Sebastian Inlet to the north or the Fort Pierce Inlet to the south. A cool part was that we were able to play our EA Florida bike tour video. The county tourism board, made up of local hoteliers and tourist business owners, had some great questions and one member even asked about taking him and his buddies to the West Orange trail in Orange County and I said, heck yeah! Afterwards, I had a great chat with Will Collins, owner of the iconic Capt Hirams Resort on the Indian River lagoon in Sebastian. 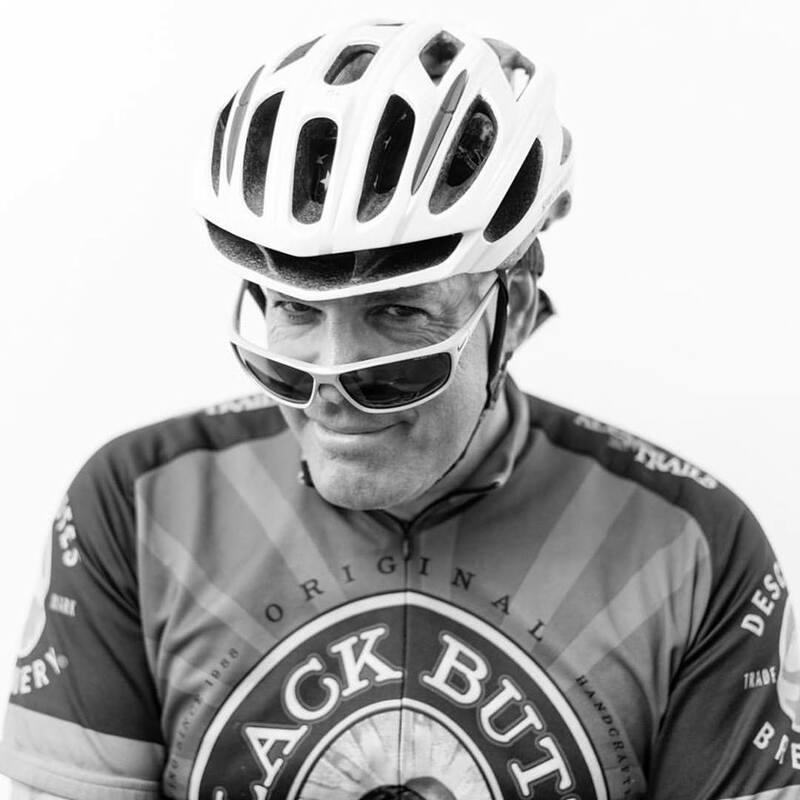 Will is a super bright guy who went to college in Boulder, Colo. and knows bicycling. Escape Adventures looks forward to meeting up with Will again to talk about how we can work together to drive tourism. "Remember, don't go through drive-thrus." And with those words, Escape Adventures owner Jared Fisher bid me and a loaded Honda Odyssey mini-van racked, wrapped and packed to the gills farewell for a 2,500-mile car ride from Jared's driveway to my house in Vero Beach, Fla. 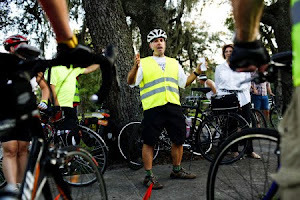 Escape Adventures is pushing the frontier of its impressive inventory of bike tours not West but eastward and I'm working with Jared's can-do, bike-loving, adventure-living staff to launch seven gorgeous bike tours scattered around the state of Florida, Here's a list of the bike tours. Five bicycles were attached to the roof via a bike roof, with another four sitting on a rack attached to the rear of the car. And another five were wedged inside the vehicle, with boxes of brochures, parts, press releases, tools and Escape Adventures shirts and caps squeezed in, too. After a day working with staff members on Wednesday, Jared and I packed the Escape Adventures vehicle at his house at 6:30 p.m. I was wired and ready to roll. No need to spend the night in Las Vegas. At about 7:15 p.m., I carefully backed out of Jared's driveway and began the long trek to Florida. Wide awake, I drove south into Arizona and began the long stretch on Interstate 40 across the Grand Canyon State and New Mexico. As I drove through the night into Thursday morning, I was mesmerized by a clear sky filled with dazzling lights and the hours rolled along broken up by pit stops to gas up the vehicle and grab a snack. Eastern New Mexico was fascinating because many people don't realize how high the elevation is there, I was hitting 7,700 feet and the temperatures before Thursday's sunrise had plummeted to 14 degrees. This was a fun stop along I-40 in NM. Through Albuquerque and then into north Texas we drove, with a harrowing trek through the metro Dallas area -- a sea of highways and fast-moving cars. By Thursday night, the EA-mobile with its 14 bikes was moving from Texas into Louisiana, with Friday sunrise celebrated with a dawn stop in central Mississippi. About 600 miles -- one-fourth of the cross-country journey -- was spent Friday across the top tier of Florida and then down south along its central spine through Lake City and Gainesville and Ocala and Orlando. By 7:30 p.m. Friday -- two days after I left Jared's driveway -- I pulled into my driveway. Escape Adventures is open for business in Florida. 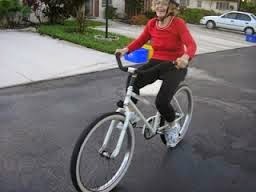 We will feature bike rides all around the state, offering a premium product. 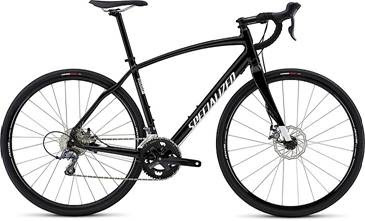 Our comfortable vehicle will pick you up at your hotel and we'll put you on a new road bicycle that has slightly wider tires than the conventional road tire to provide you more stability. If our ride options don't fit your location or interest, we will customize a bike ride adventure you will enjoy. I have biked all around Florida and there are some great places to bike that didn't make our Top 7 offerings but are also wonderful bicycle experiences. I can show you fun local eateries and the tour is your ride, so I look forward to sharing a great bike ride that you will remember for a long time. Can't wait to ride with you and be your personal tour guide.